Barbara Kidd Lawing likes invitations into new zones of achievement. 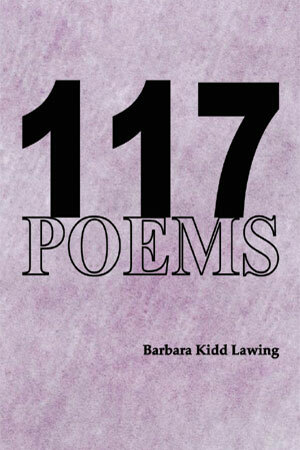 She began writing poems at age 35 while choosing poems for a reminiscence therapy group in a nursing home. She was living a post-divorce unconventional life at the time and soon decided to give up fulltime work to make time for teaching herself to write and edit. About eight years later she graduated from the ‘La-Z-Boy Recliner School’ – where she studied the best fiction authors, and history, philosophy, religion, psychology, and the arts. Her studies continue (she eschews TV), for she has long understood that an artist can never exhaust creativity. 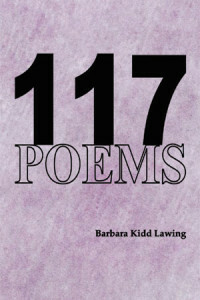 In 1989 she was invited to instruct a Creative Writing Class for Central Piedmont Community College’s Continuing Education. She still instructs that class, and leads writing groups for seniors (at Levine Jewish Community Center), writing retreats, performance groups, and fiction classes. Her newest ventures include playwriting and storytelling. It has often been her privilege to prod someone to take a first step into poetry, storytelling, or getting onstage. Via computer, as freelance editor, she helps writers in many states step into better writing skills. every time the road levels out. only one of the species. I can get along fine without you. life in the film archives.